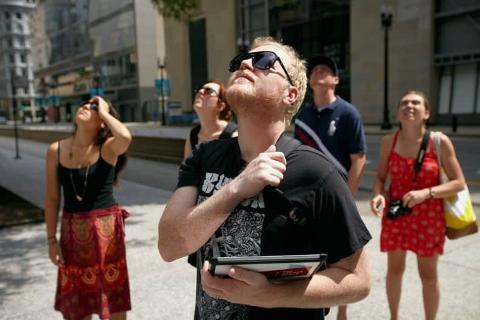 With so many architecture tours to choose from, how do you know your guide isn’t going to be a volunteer tour docent rambling a bunch of dates, names and minutia? Come on a tour with Chicago Detours! 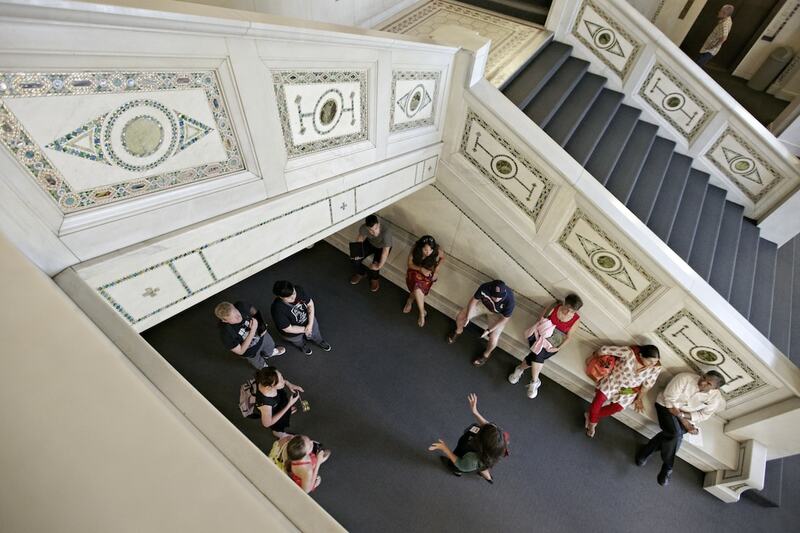 On the Loop Interior Architecture Walking Tour, you’ll step inside magnificent lobbies, corridors, and the underground Pedway system for an in-depth, personal approach to a Chicago architecture walking tour downtown. 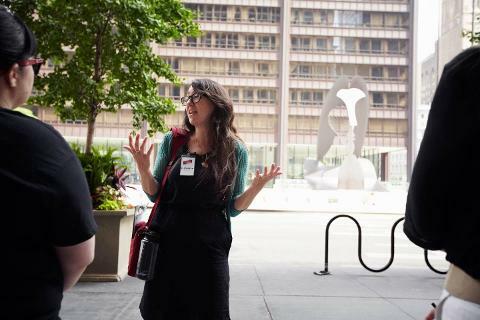 The Loop Interior Architecture Walking Tour takes you on a creative route that weaves through buildings and secret short-cuts. 95% of the tour takes place inside, making it great for any kind of our Chicago weather. 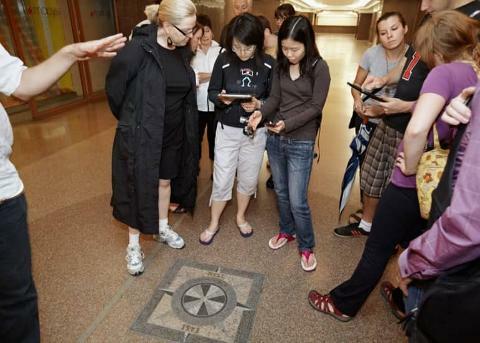 Tour guests share iPads with archival images of maps, historic photos and documentary video clips while the tour guide shares stories of Chicago history. As one of the top-rated tours of Chicago, the Loop Interior Architecture Walking Tour has received plenty of five-star ratings on Yelp. Our fun and passionate tour guides are highly trained professionals with degrees in architecture, design, art history and history. They know how to connect with a group, spark imaginations, and communicate new concepts in relating to architecture. Looking at the outside of buildings, such as with architectural boat tours, can be a great first step in engaging with Chicago architecture. For the next level of connection with Chicago architecture, go inside of the buildings. 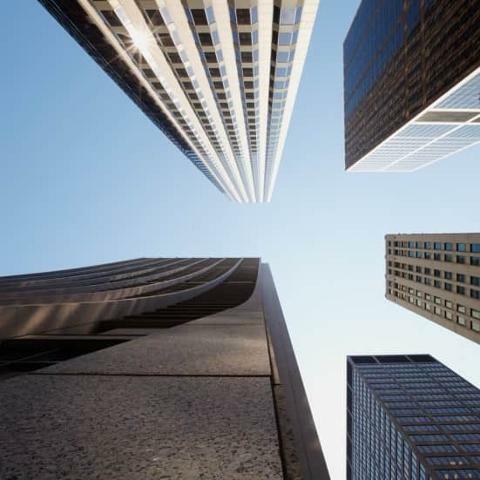 You will appreciate Chicago architecture from new perspectives. From the interiors, you can truly experience architectural space rather than from the more isolated perspective of a downtown sidewalk. If you are looking for a Pedway-only tour, this walking tour is much more than just a Pedway walking tour. We venture into beautiful lobbies and corridors of both Chicago landmarks and lesser-known historic sites. To be honest, walking through parts of the Pedway is like walking through a modern basement. It is generally not very visually enticing. 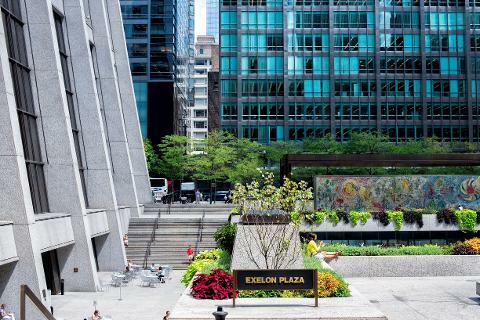 A portion of this tour takes you into Pedway passages, and you get the gift of our color-printed map of the Chicago Pedway System so that you can explore on your own. 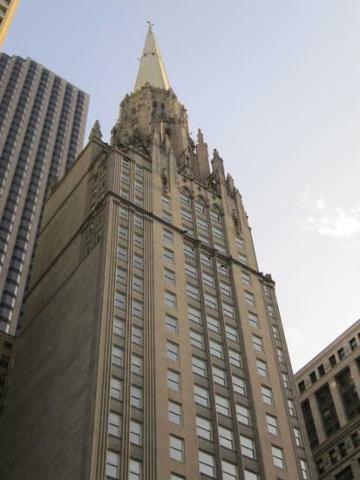 This Chicago architecture walking tour is also available as a private group tour for nine or more guests.